PDR Benefits: Paintless Is Painless! Comments Off on PDR Benefits: Paintless Is Painless! Think of it as non-invasive surgery for your car. Medical technology can work wonders for our body. 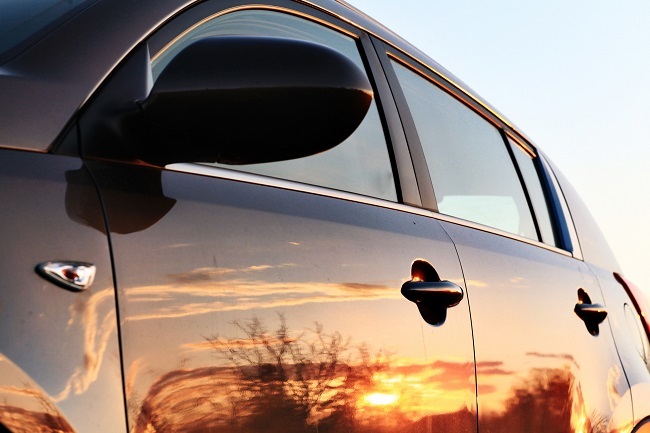 Automotive technology can work wonders for the body of your car. 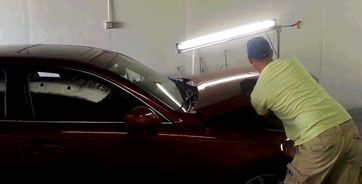 Paintless dent removal is one example. Insurance premiums are no fun to pay. Deductibles are worse. When you choose paintless dent repair, the cost may be less than the deductible you were going to pay for the other repair method! No insurance claim means no risk of the premium increase. PDR Benefits: Make Hail Damage Disappear! Comments Off on PDR Benefits: Make Hail Damage Disappear! Did your car get dented in a hail storm, or dinged up in a parking lot? Dents and dings are often beyond your control and always frustrating. It is possible, however, be able to get your dents repaired quickly and easily, with paintless dent repair (PDR). 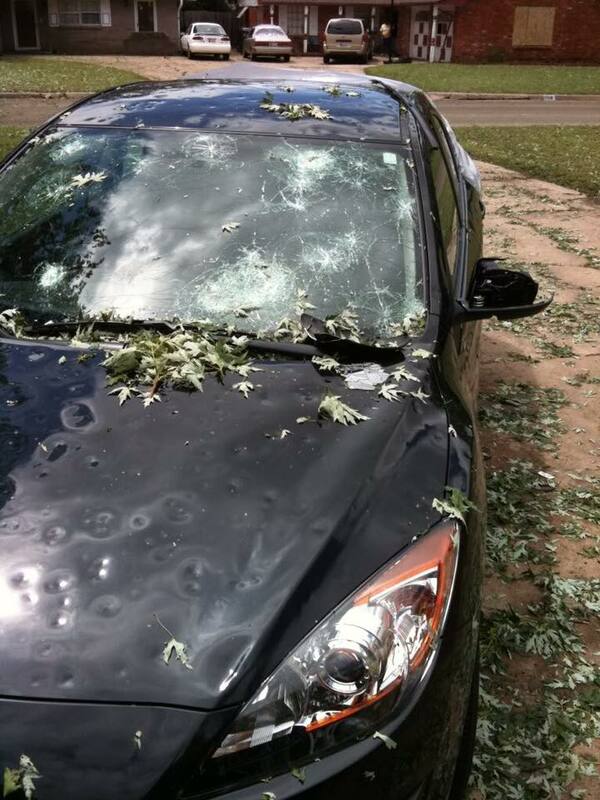 Were you recently the victim of a nasty hail storm? Are you looking for a place to get your car fixed? Look no further. Top Notch Image can help you! 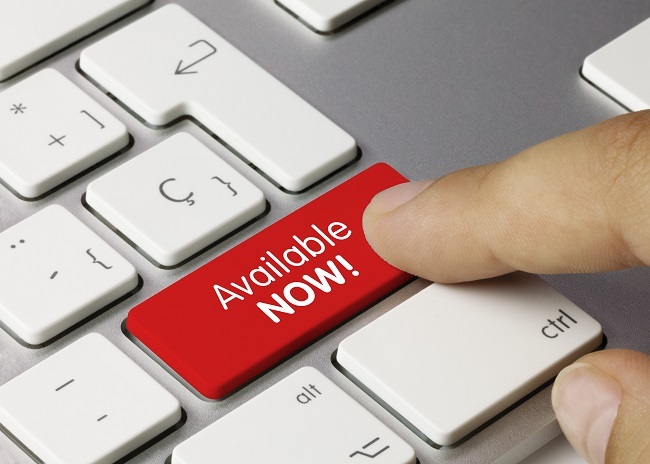 We are available for immediate appointments and our auto hail repair shop is only 10 minutes away! Rather than drop your car off at a larger shop and make arrangements to be without it for several days, we’ll get it back to you quickly. Our experts don’t mess around. We get the job done, and we let you know as soon as your car is repaired. 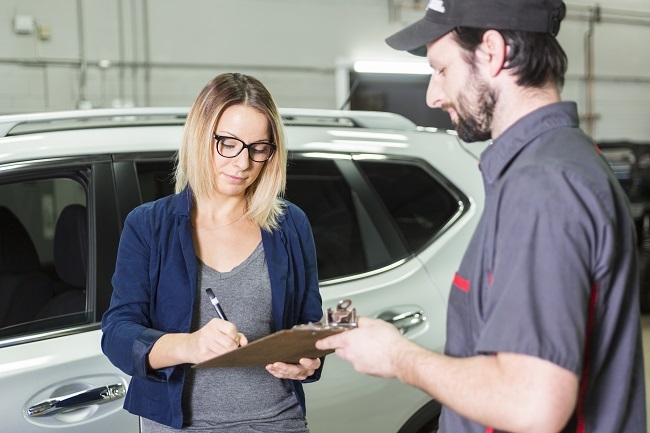 You can control so many factors as a driver to avoid repairs: proper vehicle maintenance at all the right intervals, defensive driving at all times, and more. But some things simply happen. They’re out of your control. One of the most common causes of automobile damage that falls strictly in the “unpreventable” category is hail. During the transitional months between seasons in the Dallas/Fort Worth area, weather factors tend to collude in producing unexpected hailstorms with the potential to do great damage to any vehicles caught in their wake. 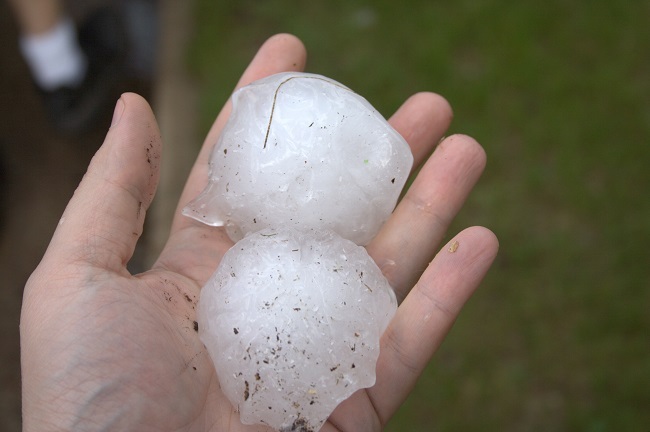 If you have ever experienced hail damage on your car, truck, or van, you know the result can be brutal. Depending on the size and severity of the hail storm, you might find your vehicle with anything from a smattering of light dents to something more destructive, leaving your car with chipped paint, heavy dents, or smashed window panes. We all know things are BIGGER in Texas. It’s a big state after all. Yes, Texans are used to things being just a little bit larger than life. Unfortunately, one of the many things that arrives bigger than life in Texas is the hail. 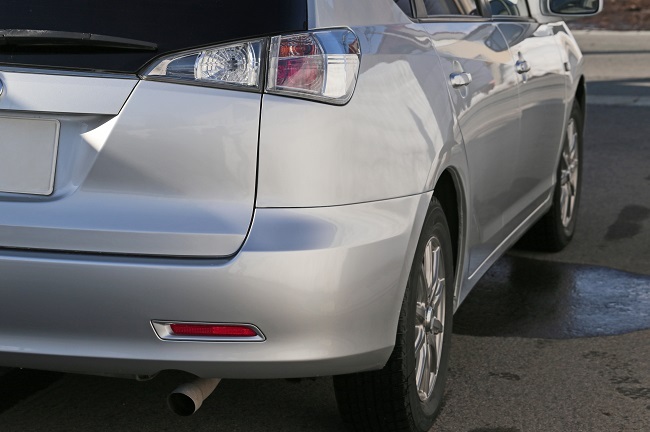 We have perfected the auto hail repair process at our facility which means that we repair vehicles efficiently and have them back to their owners sooner than larger repair shops. 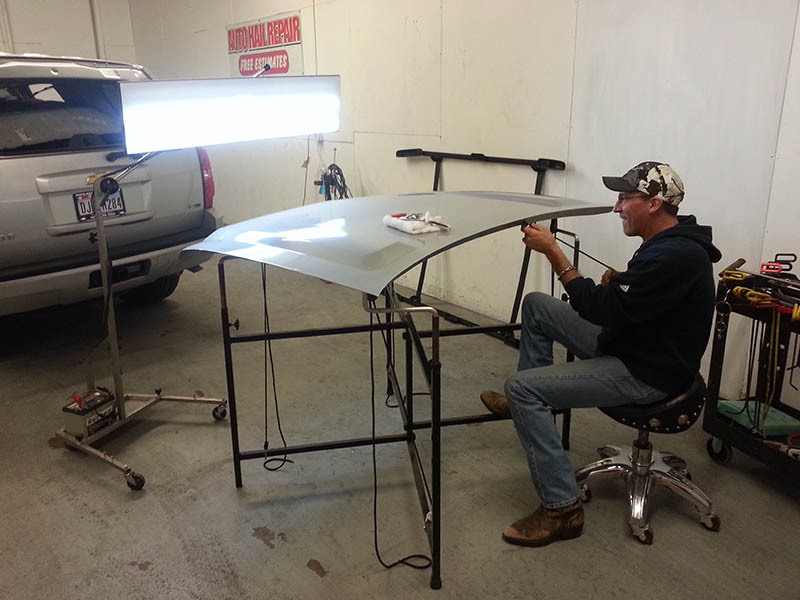 If you desire a shop that provides quality repairs and personalized service then look no further. When your vehicle gets dented, it’s always a stressful situation. Especially when it gets dented because of hail, you may be frustrated because there is nothing you could have done about it. But when you have professionals help with your dent repair, life will be much easier. We’ve all seen those infomercials with clever gadgets that claim they can easily pop out your dent. However, those tools often don’t do the job. And if they don’t, you are left spending money on a useless gadget that did not prevent your from seeing the professionals about your problem. Getting your car repaired after a hail storm can be an intimidating task. You want your car fixed right away, but you also want to make sure you’re choosing the right auto hail repair shop. Sometimes, a hasty decision can leave you with a poorly done job. 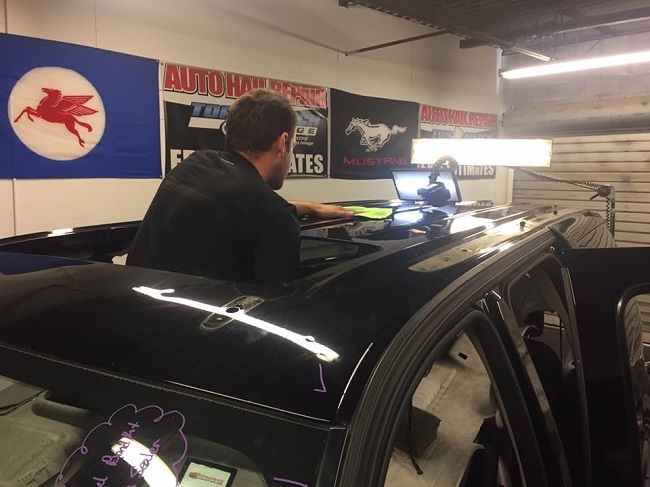 With more than 15 years in the industry, we at Dallas Auto Hail Repair have spent plenty of time fixing other body shops’ mistakes. So, we thought we’d put together a guide on how to tell if your repair job was done correctly.